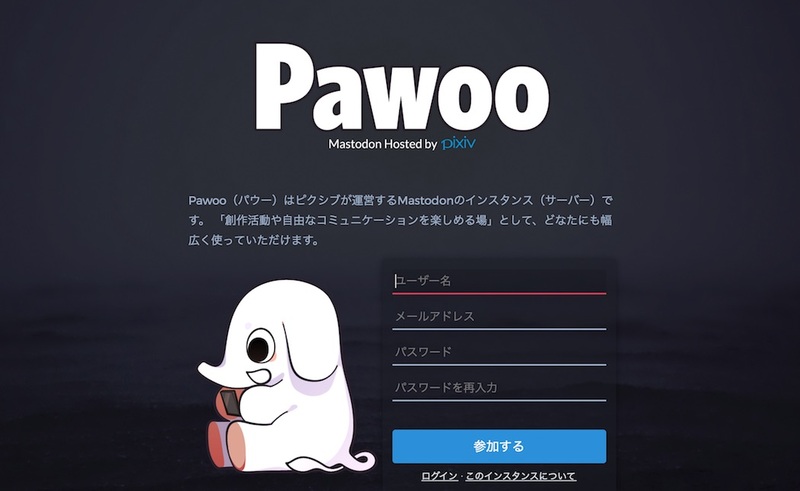 There's a new social network that is gaining more and more popularity each day: its name is mastodon. It's very similar to Twitter, with the difference that it's administrated as a decentralized federation of servers, known as "instances". For example, there is an instance for video game fans, an instance for otaku and also an instance for Aikatsu! fans which is called kirakiratter. There's something for everyone! 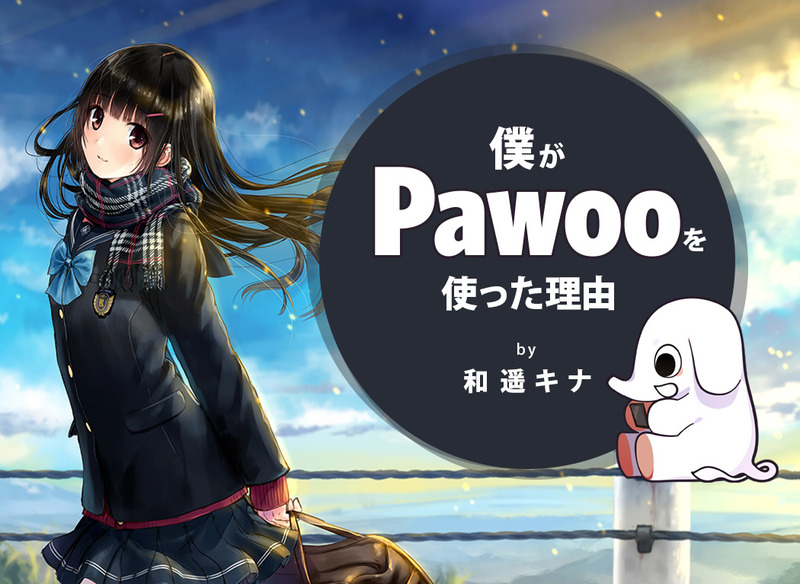 Pawoo was established as a place where pixiv creators can share their activities and communicate. Pawoo now counts more than 70,000 active users, and it's one of the largest instances in the world. Many users are creators, and enjoy posting their works on Pawoo. 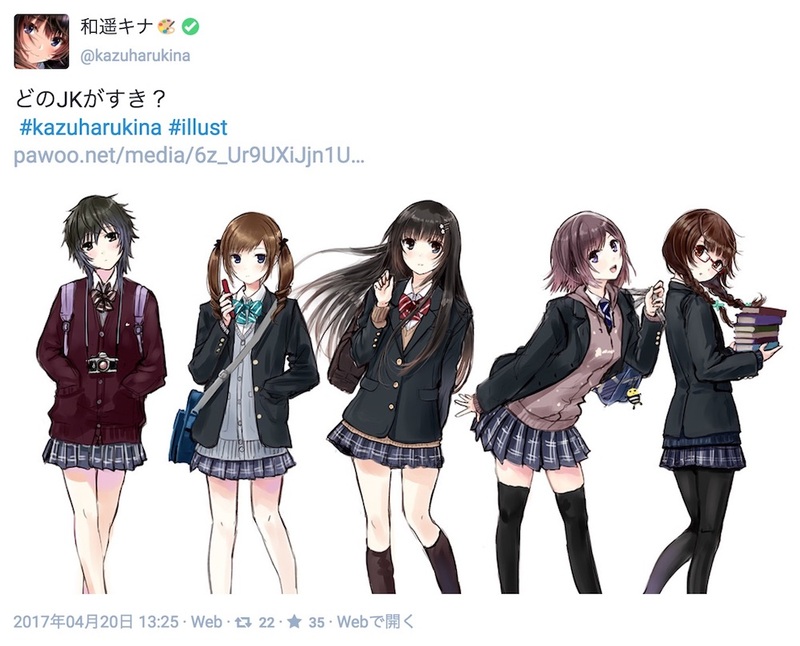 One of those creators is none other than Kazuharu Kina, famous for drawing beautiful black-haired girls. Judging from his posts, it looks like he is really enjoying Pawoo, so we decided to ask him a couple questions about it. I couldn't miss this service! --- You were one of the first Pawoo users. How did you learn about it? I've been using it since midnight of the 16th... When one of my fellow creators told me about this new service called mastodon. I didn't waste any time and registered to Pawoo right away. I thought I couldn't miss this for the world! --- So did you just register because it looked like an interesting place? What should I say... I wanted to see what the atmosphere was like at the very beginning of the service. 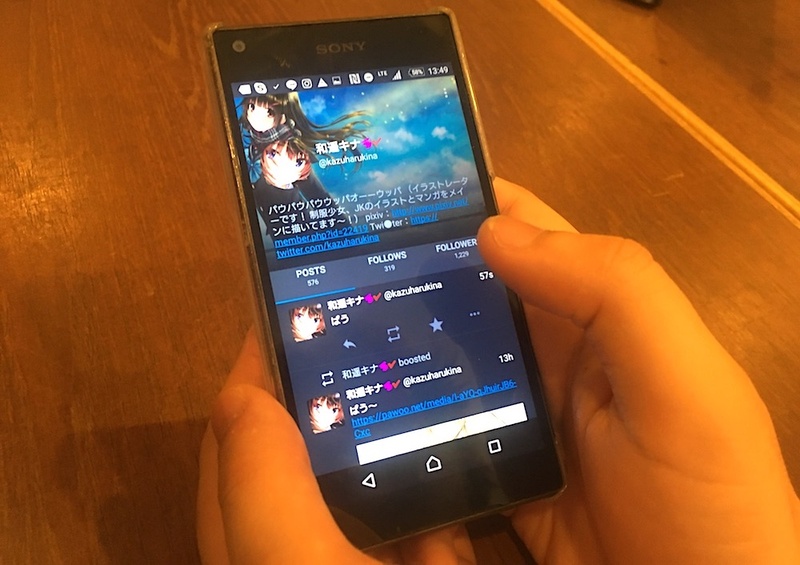 I made a Twitter account right when it started to get popular in Japan, but at that point there were already many IT communities and many artists with a profile. I also registered to Instagram, but I'm not very active on it. In any case, I'm very excited to be able to have a taste of Pawoo from the very beginning! 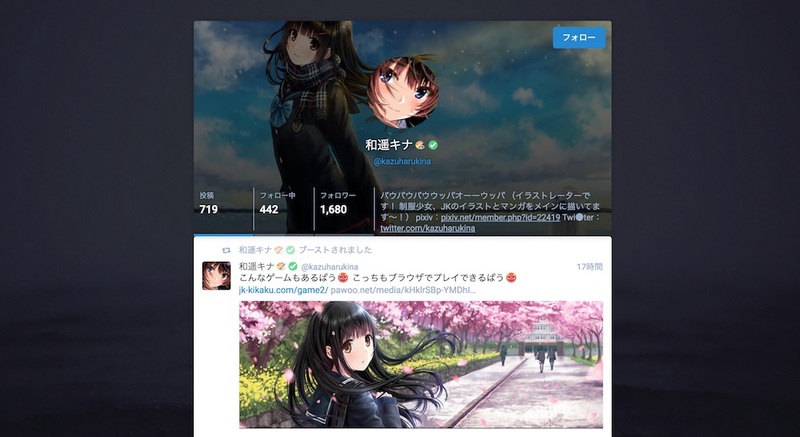 I also thought that, since it's run by pixiv, it's not something that will sink or disappear in two or three days. It was worth to give it a try! --- You heard about this service from a fellow creator, but you didn't just register because you are an artist, right? Yeah... But my job is one of the reasons why I made an account. When I saw that other major illustrators were already registered, I decided to start using Pawoo for my work somehow. That's why I don't feel like my registration was completely unrelated to my job as an illustrator. --- How was your experience with Pawoo so far? It really felt like a festival, like the dawn of a new internet age. I feel that everyone is so excited to have the chance to create a new space, a new culture from zero. It's been really fun so far! The atmosphere was almost the same as when the 10 points are not enough trend was born on pixiv. For example, even at the very first stages of Pawoo, creators that deal with 18+ materials started to add a "18+" mark next to their names, and illustrators started adding drawing tools icons. It's a lot of fun to see how Pawoo culture evolves every single day. --- It feels like Pawoo is going through plenty of small changes every day! I really feel like you can do whatever you can't do in other places. Other social networks are so crowded that you can't really act freely anymore. --- In other words, do you feel observed? If you mess up your submissions on a big social network, that might have an impact on your work. That's why you don't have the freedom to make mistakes. You need to work out the best captions in order to have as many people as possible look at your illustrations. That kind of mature atmosphere gets really exhausting after a while. Sometimes I really feel like a lost a big slice of the freedom that I had before. As I mentioned early, that is by no means a bad thing. Social networks are a powerful medium of self-promotion and that can get tiring after a while. I could see many submissions that I would never have thought I'd see from my favorite artists, and that is amazing. On other social networks, it sometimes feels like you shouldn't engage with someone because they are much better or more famous than you. On Pawoo, as soon as you follow someone, they'll follow you back, and sometimes they will also send you a message saying "I was looking at your illustrations!". It's a brand new form of exchange. Is it time to learn the "elephant language"!? --- It sounds like you're gonna be able to enjoy Pawoo for the longest time! I hope so. Being immersed in such a new and refreshing environment is great. It's also a great way to communicate with people that you couldn't communicate with on other social networks. The fundamental law of Pawoo is let's have fun! Also, sometimes I post something like "Pau Pau!" and everyone instantly jumps on the train. --- Oh, I saw that! Also, about that "Off..."
No one knows the answer to what this slang means, but everyone is having fun with the "elephant language". After all, it's a form of paumunication! --- Creating new slang is very social network-like. The words that I use the most are Off Pau!, paumunication, "It's Pau-ish" and "Pau Force". --- This is the so called "elephant language", right? Exactly. Also, instead of "laughing out loud" we say "trumpeting out loud". It kills me every time! --- So, what are Pawoo's selling points? Once a social network decides on its own rules and communities are set, it's really hard to get into that circle. In Pawoo, though, even if you have zero followers, you can enter the loop by just browsing the local timeline. This is one of its most charming points! I can't wait to see how Pawoo will develop in the future. Looking forward to seeing how it will go! --- Thank you very much! Kazuharu Kina told us that Pawoo is the perfect place to see a new side of your favorite creators and to see how a social network grows and develops. Did we entice your curiosity? Try it out, you might get some reactions even by just posting "Pau Pau!" Freelance illustrator. He designed the eroge "Iwaihime" and worked for the light novel “Chika sugiru karera no, jū nana-sai no tōi kankei”. He usually paints girls with black hair.